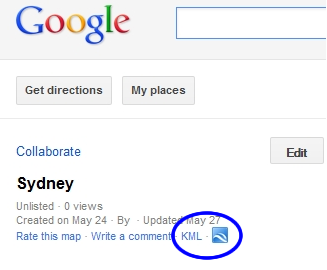 First step, download KML file from google my map. 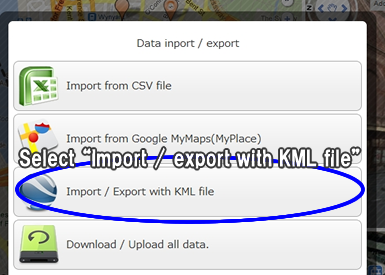 Second, that KML file can be imported directly into MyMapPlus. 1: Open your google my map page. Click "KML" link, and save kml file in your computer. 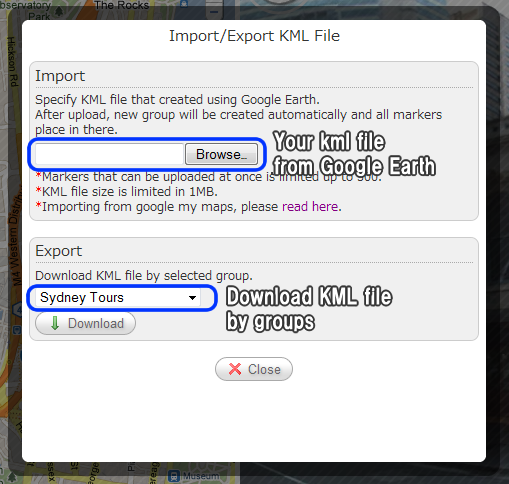 2: You can import that KML file to MyMapPlus.